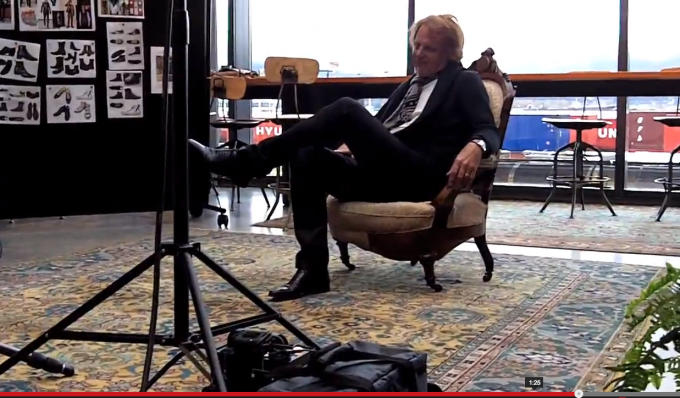 here’s a quick behind-the-scenes video of my shoot with John Fluevog. To the gentleman that posted above. Obviously you have nothing better to do, than follow Ian’s “pathetic attempt” at photography. What are you? Some self made success with nothing better to do than follow the creative potential of another, while spouting off cliche marketing tips from the sideline? Well done, I applaud you. Incidentally, it should be noted that his photos, Twitter feeds and blog postings caught your attention did they not?